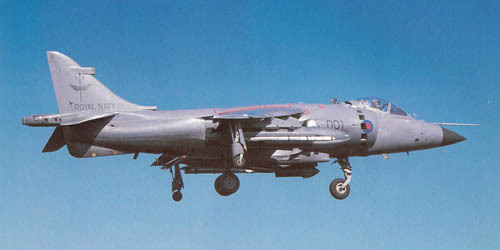 Duing the 1980s 801 Squadron provided Ark Royal's primary weapons system operating Sea Harrier FRS Mk1 jet fighters from her flight deck. 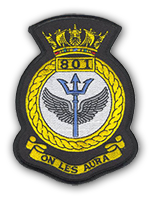 Below is a list of 801 Squadron personnel embarked in HMS Ark Royal in 1988, as published in 'HMS Ark Royal Commission Book February 1987 - December 1988'. As this pre-dates the introduction of women at sea in the Royal Navy, the entire squadron are male. LT CDR Gilbert C.M.L. LT CDR Knowling P.J. LT CDR Sinclair A.B.